This is a 3D wall sculpture. It stands off the wall allowing shadows to create extra depth. The shape, composition and finish will depend on the situation where the sculpture is ultimately displayed. 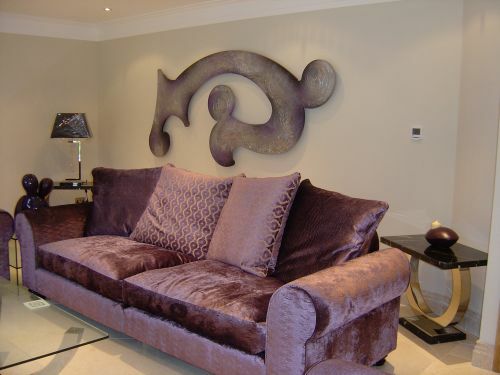 This one has a beautiful textured finish in a metallic silver colour, making it look like it is forged out of metal.